Announcing Our Classic Stills Competition Winners! Last month we teamed up with Classic Stills to offer the chance to win $1000 (that’s £800) of Harry Potter fine art prints from their new collection, showcasing 25 of the best shots from Harry Potter and the Philosopher’s (or Sorcerer’s) Stone — today we get to announce the winner, and runner ups. As previously reported on Leaky, only 100 …read more! Blast-Ended Skrewt To Feature In Universal Orlando’s New ‘Harry Potter’ Ride! Remember all the times we heard complaints about Hagrid introducing the Blast-Ended Skrewt to Care of Magical Creatures? 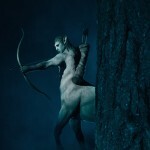 We never actually got to see these creatures in the films – despite their all-too-constant presence throughout Harry’s fourth and fifth year at Hogwarts – but Universal Orlando Resort are bringing this magical creature to life for …read more! Today the Harry Potter Alliance (HPA) launched their 10th anniversary Accio Books – their annual worldwide book drive and literacy advocacy campaign to benefit communities in need all around the globe. 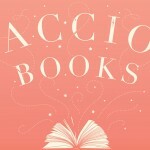 Accio Books started in 2009, four years after the founding of the Harry Potter Alliance, and is a global effort to save libraries (where …read more! 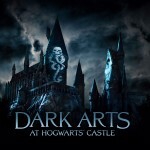 This weekend, Universal Studios Hollywood debuted their new “Dark Arts at Hogwarts Castle” light show. We were lucky to be given tickets to attend the premiere event and be among the first to see this spectacular new addition to the Hollywood Wizarding World of Harry Potter. Through the use of incredible technology and artistry, Hogwarts …read more! First-Look at ‘Hagrid’s Magical Creatures Motorbike Adventure’ From Universal Orlando! All this week Universal Orlando Resort will be giving Harry Potter fans a first-look at the magical creatures set to feature on the upcoming “story coaster” (as Universal described it to us), Hagrid’s Magical Creatures Motorbike Adventure! Each day at 11am EDT through April 19, the Universal Orlando Blog will give guests a first-ever look at the magical …read more! 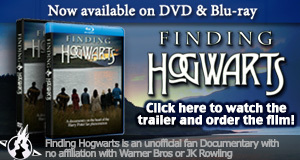 News from Potter parks and products this week as well as J.K. Rowling’s other projects! The latest book in the Cormoran Strike Series, Lethal White is headed to paperback and the author is supporting a crime writing campaign for women, Microsoft stores will be hosting Harry Potter Kano coding kit workshops for kids this summer …read more! For its 20th stop on its worldwide tour, Harry Potter: The Exhibition opens at the Museu de les Ciències at La Ciutat de Les Arts i Les Ciències in Valencia, Spain starting April 13, 2019. You can purchase tickets here. This is the exhibition’s second sojourn in Spain, its having visited Madrid in 2017. Over 5 million people …read more! Costumes, Fantastic Beasts, Fantastic Beasts Movie, News, Props-Sets, Studio Tour, Warner Bros. If you are a Harry Potter fan planning your spring and/or summer vacation now, you should know that Warner Bros. Studio Tour Hollywood has expanded its Fantastic Beasts display to include new, authentic costumes and props from the second film, Fantastic Beasts: The Crimes of Grindelwald. 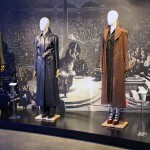 Costumes on display include those worn by Newt Scamander (Eddie …read more! 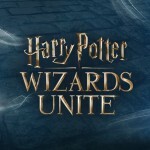 Pokemon GO Players Can Reserve Usernames for Harry Potter: Wizards Unite! If you’re a Harry Potter fan and a regular gamer, you’re probably aware that Niantic’s highly-anticipated upcoming release is the real-world AR app Harry Potter: Wizards Unite. Now, Niantic has announced that Pokémon GO players can reserve their names for use in the new game–if they’re still available! According to Nintendo Life, fans should take …read more! No, our beloved author has not joined the Death Eaters. Killer Women is an author collective of female crime writers. They are launching a mentoring scheme for aspiring female crime writers from minority and working-class backgrounds. Writers who fit the demographic requirements can submit synopses and sample chapters of work in the crime, psychological thriller, or …read more! You're Angry, I'm AngryThe Sorting Hat, Ideology, and Free WillSee the rest over at Scribbulus!